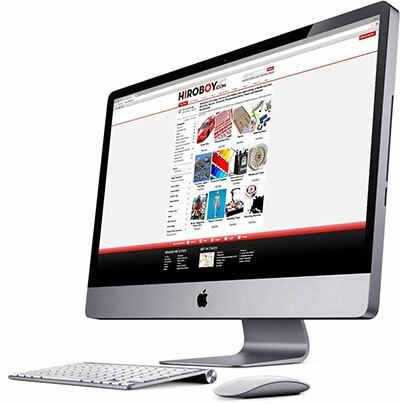 Blog › Hiroboy.com is delighted to announce the launch of our new website. Hiroboy.com is delighted to announce the launch of our new website. After 9 years of faithful service, we thought it was finally time to retire the old site and replace it with a new shiny, slicker and more advanced one. We hope you like our new look which is designed to make it easier to find the information that you are looking for. We hope you like the feel of the design which is specifically intended to be easy to navigate and to reflect our forward thinking and modern approach. We’ve refreshed the content and tied it all in with our social media activity, we also have removed many of the discontinued items listed on the old website. All existing customer have been emailed regarding this, please note : We are unable to transfer over your password from the old website, as they were encrypted, so please login with your email address using the new password emailed out today. or request a password reset. We know how busy you are but if you have a minute, have a browse and see what you think. New web site very much appreciated. Keep up the good work for at least more 9 years of great service.